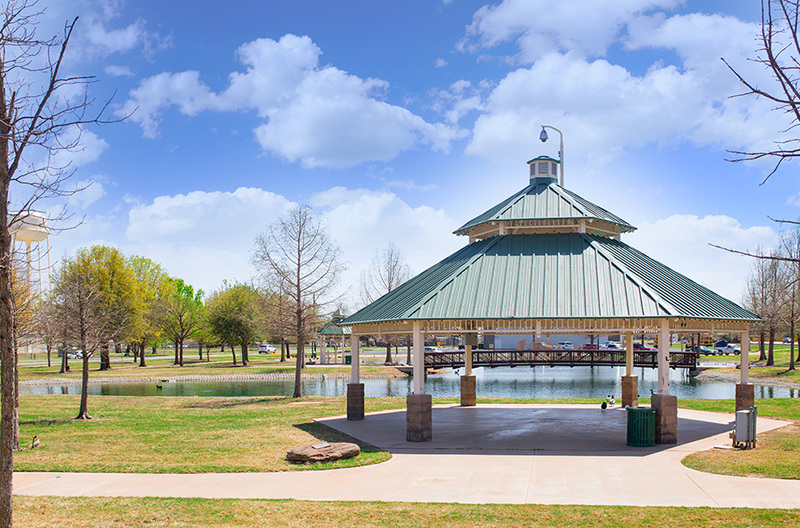 This department provides quality recreation programs to include concerts, swimming pool operations, summer movie series in the amphitheater, and many other activities for our citizens and guests to Burkburnett. In addition, this department is charged with the maintenance of all city parks and cemetery. Parks and Recreation Director Brent Battista moved to Burkburnett in 1971 and graduated from Burkburnett High School in 1989. He is married to Leslie Battista and they have five grown children and five grandchildren. Brent worked in manufacturing for twenty six years, fourteen of which were in management. Brent also ministered as a part time Youth Pastor for nine years. 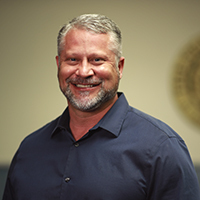 Brent started working for the City of Burkburnett in 2017. Brent’s objective is to make continued improvements in the Parks & Recreation Department by strengthening community image, providing safe parks and facilities, supporting economic development and providing programs and recreational opportunities, to all residents and visitors with the highest quality. Burk Royalty - Davey Dr. Friendship Community Park - Davey Dr. Boy's Little League & Girl's Softball Complex - Davey Dr.
Soccer Complex - Kramer Rd. An 18 hole Championship Public Golf Course located 5 miles north of Sheppard Air Force Base on FM 1177. The course rating is 69.9 with a slope rating of 104. It is a 6800 yard course with a par of 71. River Creek is open 7 days a week with tee times available daily. Facilities include a fully stocked pro shop, snack bar, banquet room, driving range and putting green. Lessons are available by a premiere PGA club professional. Available services include private or group instruction, tournaments, handicapping and club fitting. The Community Center has two rooms available for parties, banquets, weddings, receptions, etc. The large room (Auditorium) is 7,400 square feet and holds up to 500 people. 40, 8' tables and approximately 460 chairs are available for the auditorium. The small meeting room is 1,080 square feet and holds up to 50 people. 10 round tables (60" diameter) and approximately 60 chairs are available for the meeting room. Both rooms are adjacent to kitchen facilities. A deposit fee of $200.00 is required for reservation of either room. A deposit fee of $400.00 is required if alcohol is to be served. A permit is also required for the serving of alcohol. The deposit for the reservation must be made no later than one week after the request for a reservation has been made. Any reservation not confirmed by the required deposit within the one-week period, will be automatically cancelled. Deposit will be forfeited if facilities are not left in as good condition as when rented. Deposit fee will be forfeited if cancellation notice is not given 72 hours prior to the reserved time, with the exception of a sickness or death in the family. Deposit will be returned to renter upon verification by staff that facilities are left in good condition and keys have been returned. Reservations can be made by calling City Hall at (940) 569-2263. Mission Statement: To strive to provide services and activities that will enhance and enrich the lives of the elderly. Established in 1978, the Senior Citizen's Activity Center is open 8:00 a.m. to 4:00, Monday thru Friday. Services provided daily include Meals on Wheels and a Congregate Meal Program. Transportation is provided by the Center for medical appointments, prescription pick-up, beauty and barbershop appointments and grocery shopping. Blood pressure screenings are provided three times monthly. Blood sugar screening and nutrition education are provided once a month.